Tiger 1200 Forum and Owners Club ! This totally independent site is devoted to the Triumph Tiger 1200 ! 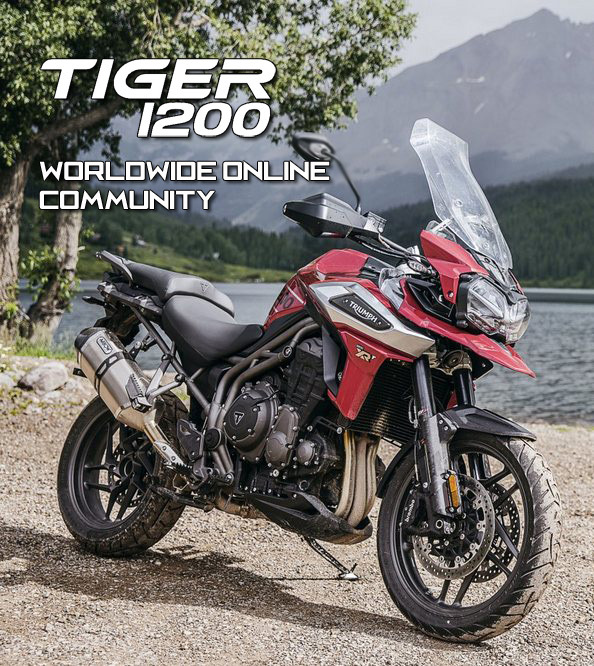 The site is the number one resource for Tiger Explorer and Tiger 1200 owners. Members can discuss issues with others in the 'Forum', take a look at owners bikes in the 'Media Gallery' and generally find out more about the "1200", the flagship Adventure bike in the Triumph fleet. We also have technical information, articles, reviews, and much more, making this the world's number one motocycle club for the big Tiger. If you are thinking about buying this brilliant bike from Triumph then this will be the site for you ! Anyone is welcome to Register so join up today !